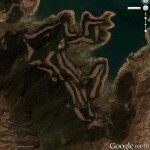 Pictured above (L) is a Google Earth satellite image of the Yanggakdo Golf Club as of 2010-10-6. Pictured to the right is the course as it looks “today”. It has been removed. 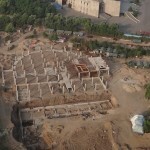 It looks like something new is being constructed in its place! UPDATE 1: Simon adds some interesting information in the comments section below. Also, here are two additional stories about a golf tournament held back in 2004: story one, story two. 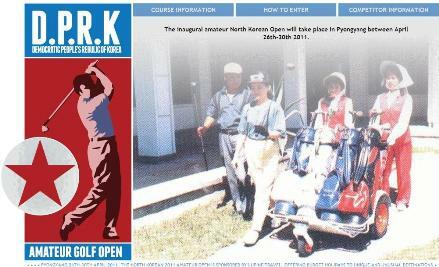 North Korea will host its first ever amateur golf tournament for foreign visitors. London-based Lupine Travel on Thursday announced that together with China Youth Travel Service of Dandong, it is organizing the North Korean Amateur Open for golfers from around the world in Pyongyang from April 26 to 30. 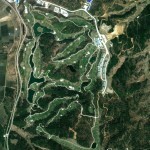 Lupine Travel, which specializes in tour packages to unique destinations, is currently offering a five-day tour to the North through the website www.northkoreanopen.com. According to the website, any amateur golfer who hits an average of 90 can take part. The package costs 999 euros, and includes visas, tournament entry, return train travel from China into North Korea, meals and accommodation. 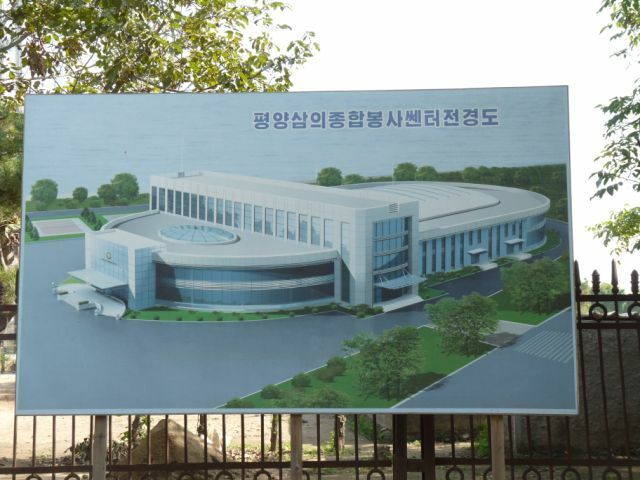 Pyongyang Golf Complex, located near Taicheng Lake some 27 km from the capital, is the only golf course in the country for North Koreans. The Korea LPGA Pyongyang Open was held there in August 2005. The Wall Street Journal’s Korea Real Time also covered the announcement. North Korea has four golf facilities and one driving range. Only three golf facilities are in operation and only two open to “the public”. 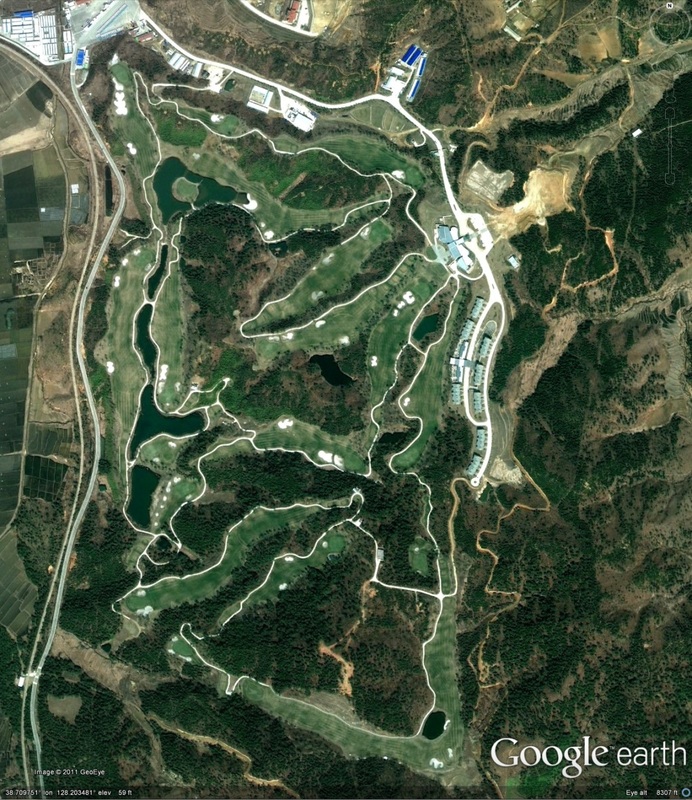 Here are satellite images of all four (the last image was taken when the golf course was under construction): Pyongyang Country Club, Yangak Golf Course, Sosan Driving Range, elite three-hole range, and Kumgangsan (under construction in the image). North Korea Uncovered version 18 is available. 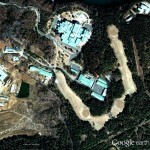 This Google Earth overlay maps North Korea’s agriculture, aviation, cultural locations, markets, manufacturing facilities, railroad, energy infrastructure, politics, sports venues, military establishments, religious facilities, leisure destinations, and national parks. This project has now been downloaded over 140,000 times since launching in April 2007 and received much media attention last month following a Wall Street Journal article highlighting the work. 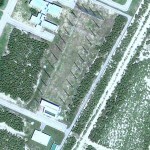 Note: Kimchaek City is now in high resolution for the first time. Information on this city is pretty scarce. Contributions welcome. 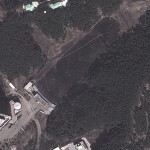 Additions to this version include: New image overlays in Nampo (infrastructure update), Haeju (infrastructure update, apricot trees), Kanggye (infrastructure update, wood processing factory), Kimchaek (infrastructure update). 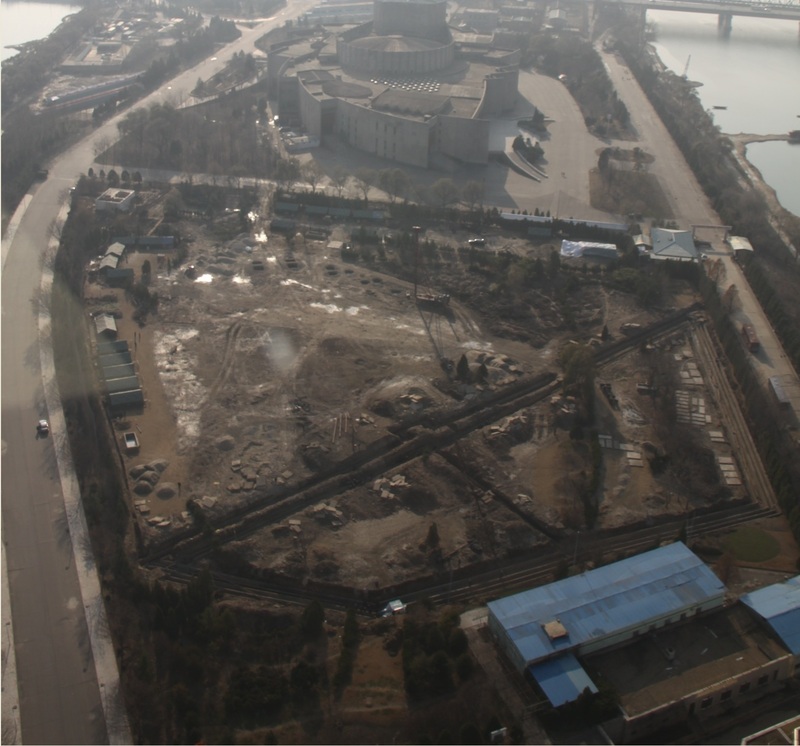 Also, river dredges (h/t Christopher Del Riesgo), the Handure Plain, Musudan update, Nuclear Test Site revamp (h/t Ogle Earth), The International School of Berne (Kim Jong un school), Ongjin Shallow Sea Farms, Monument to “Horizon of the Handure Plain”, Unhung Youth Power Station, Hwangnyong Fortress Wall, Kim Ung so House, Tomb of Kim Ung so, Chungnyol Shrine, Onchon Public Library, Onchon Public bathhouse, Anbyon Youth Power Stations. 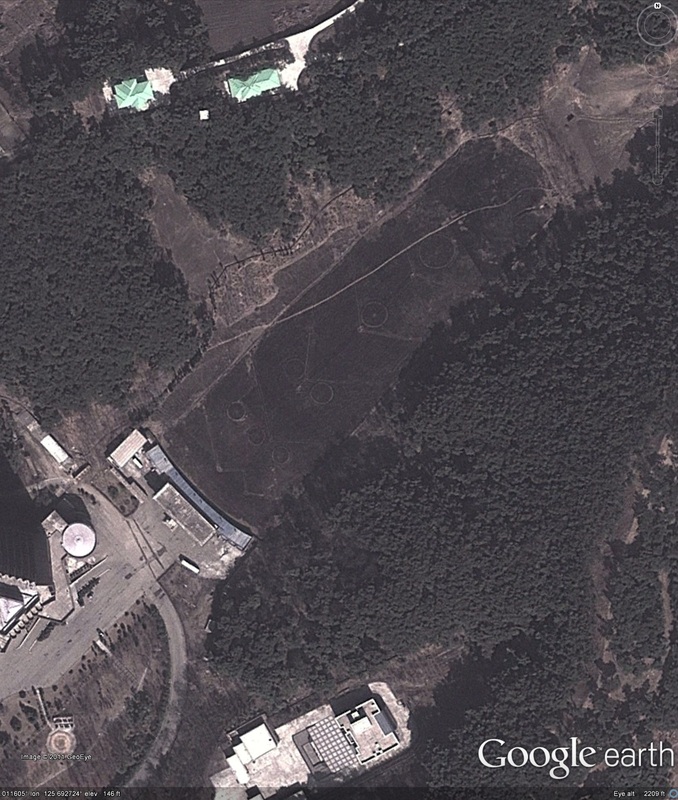 UPDATE: The Kumgangsan Golf Course is located here (Wikimapia), though it is still under construction in these dated images. 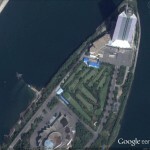 ORIGINAL POST: The DPRK’s golf facilities are all easily recognizable from Google Earth: There is the 18 hole course half-way between Pyongyang and Nampo; there is a smaller 9-hole course next to the Yangakdo Hotel; there is a driving range in the Sosan sports district; and there is even a three hole course east of town just south of the Ponghwa Barrage on the Taedong River (This area could be the Ponghwa Executive Apartments mentioned in Kim il Song’s North Korea). 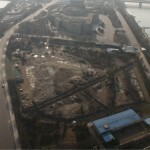 The “Kumgang Ananti Golf and Spa Resort,” including a 18-hole golf course, will open to the public Wednesday after nearly four years of construction, Emerson Pacific Group, a Seoul-based leisure firm, said. Built on about 1.7 million square meters of land, the resort also has a spa, a hotel and restaurants that provide nice sea and mountain views, according to Kim Min-jeong, a publicity official of the company. 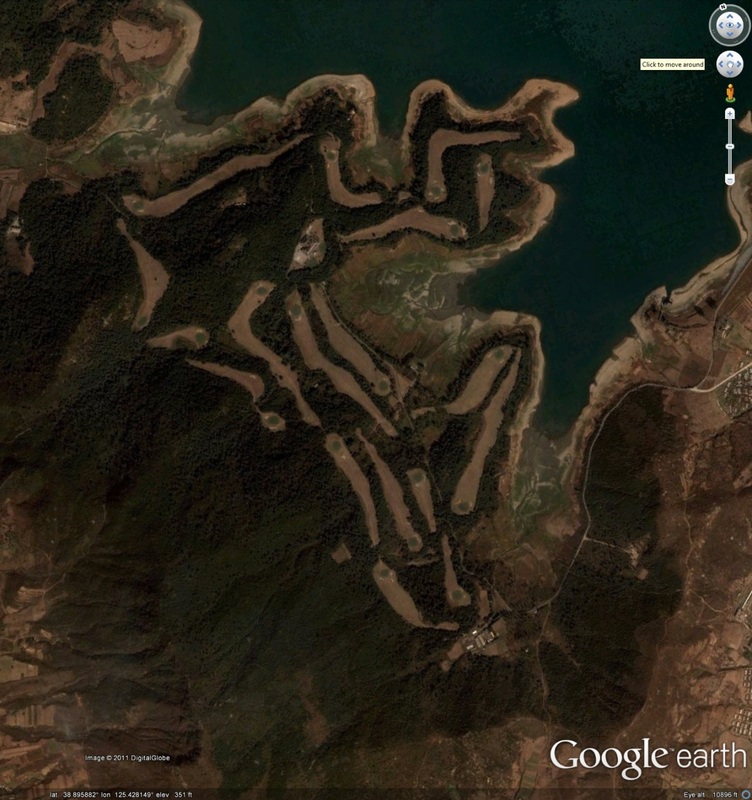 The golf course has already drawn media attention over its 929-meter number three hole, the world’s longest. 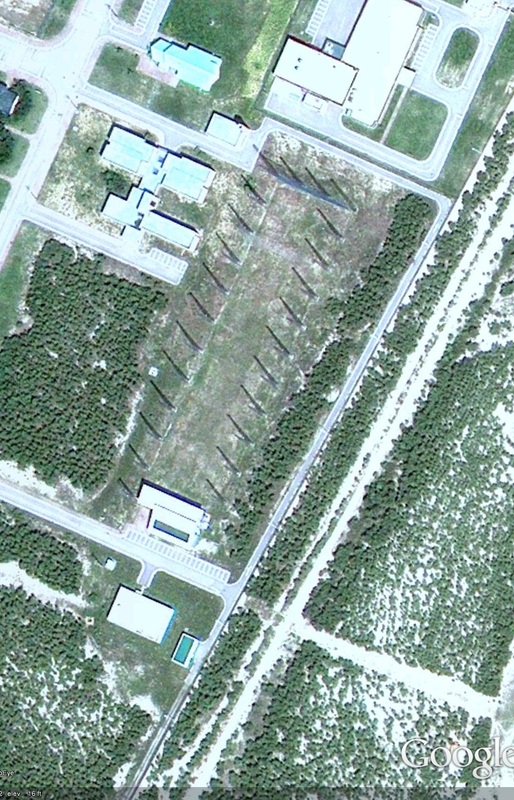 The facility, however, will be operated on a membership-only basis for the time being, Kim said, adding that the company plans to open the facility to individual tourists around next year. 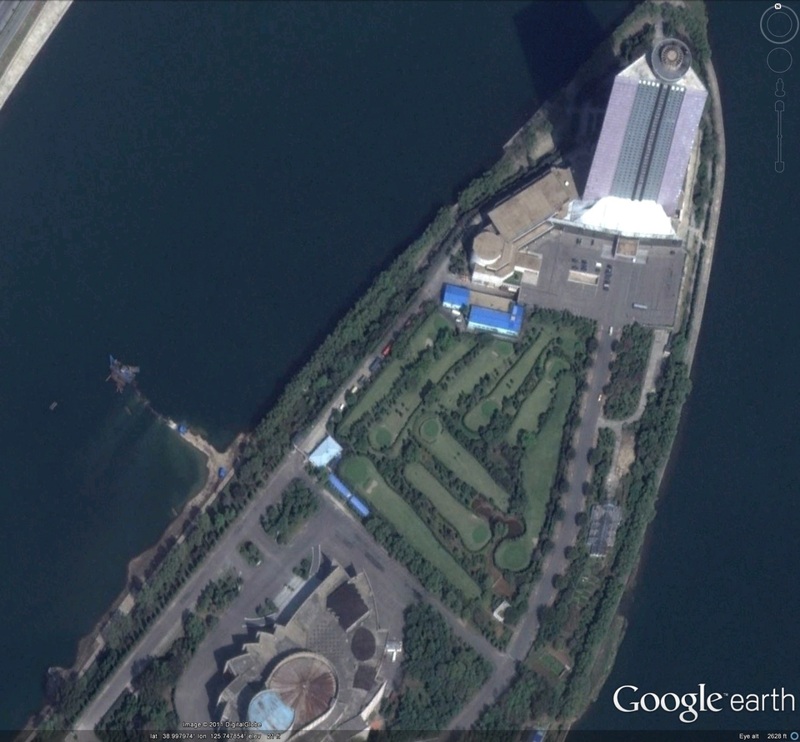 Emerson Pacific is waiting for Pyongyang to give the company permission to employ about 200 North Koreans, including 60 caddies, at the resort, the official said.